1) Possibility to hollow out on Z-Suite the parts with parametral width options. This will considerably increase the printing speed in many cases. For example, i would like to print only the shape of one full "object" for obtaining one shell and then if needed, pour some resin inside this shell. 2) Possibility to upgrade the M200 3D printer with a dual extruders. It would be more than necessary sometimes to print the supports in one soluble material like the PVA or the HIPS. It happened to me lot of times to cannot print parts with internal cavity which requires support because once the part is totally printed it would be impossible to remove the supports. So the upgrade would include one longer spools holder for holding two spools and one other "block extruder" which would integrate this time two extruders. 3) More materials ! I red many times that Zortrax will provide new filaments materials like Nylon and P-Cabs and I am more than please about it because it s more than necessary. I just want to rewrite my need to print technical/mechanical parts in Nylon urgently. And it would be amazing if soon we could have some transparent material too ! Here we go, I surely forgot few points but I am counting on this community to add new possible upgrades. The Zortrax team is pretty aware of new ideas from customers and I hope we can suggest them these upgrades. Printing with reprap on the glass for me it worked only when parts was totally overheated to 100C in lower temperature it was disaster, but with such of high temperature then parts looks melted at bottom and loose details. I don't think this is possible - the M200 does not have software power-off, it has a physical power switch that applies line voltage to the power supply. When the power supply is on, its fan needs to be on, and because when the power supply is on DC power is applied to the motherboard, the motherboard cooling fan needs to be on. So really the only things they can turn off in software are the heaters (which they already do), the print and extruder fans, the LEDs, and the display. 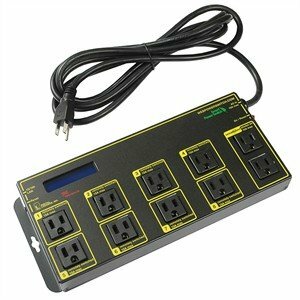 I use an IP power strip to turn the power off remotely via internet. Other nice feature, is if we can do Support in selectable parts of a piece. I would suggest you to enter the total counter hours of printing, in order to make the most of the scheduled maintenance. Yeah, this would be good because sometimes support is generated where it isn't needed or where I don't want it but I still need support generation on another area of the same print. The Up slicer handles this simply but effectively with a "minimum support area" parameter. Support is not generated in any areas having less than the specified size. I have a Z-Wave remote automation system so I would be able to turn it off anywhere. +1 for auto-off. I understand that it's probably hardware, but at least it's an idea for gen2. Also significant would be ctrl+click/drag to copy parts. Import one part, get it oriented how you'd like, then just ctrl+drag to copy and drag a new one to a new position. Auto-off is not gonna happen in this model, there is no hardware to support it. Actually Ctrl-C is "copy" on my keyboard, so it makes sense. Ctrl-D book marks the page. So perhaps it depends on the keyboard/language you are using ? Yes, Ctrl-C is "copy" in most GUI's (Mac & Win) but it means "copy to the clipboard", not "make a duplicate in the document". A duplicate is not made until you paste. In most drawing/CAD programs I've used, Ctrl-D means "Duplicate"; ctrl-D for bookmarking is exclusively a browser thing afaik. In DS Mechanical and Spaceclaim Crtl-C is copy.. Ctrl-V is paste.. I think it's like that in Corel draw too..
And I have two updates for the other thread, in the next ten minutes. Its also a problem with Ubuntu and maybe other distributions as well.